Eva Jacqueline Longoria was born on 15 March 1975 at Corpus Christi, Nueces Co., TX. She was the daughter of Enrique Longoria Jr. and Ella Eva Mireles. 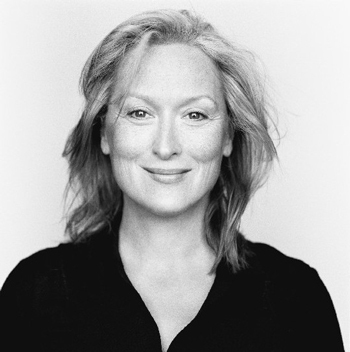 Mary Louise Streep was born on 22 June 1949 at Summit, NJ. She was the daughter of Harry William Streep and Mary Wolf Wilkinson. [S182] Social Security Death Index (on-line), Ancestry.com, SSDI, Ancestry.com, SSAN 139-07-3908. [S696] Patricia Jackson Westerfield, "Austin Holcomb," e-mail to James H. Holcombe, 19 June 2009. [S311] Unknown compiler, "Indiana Marriages, 1811-2007." Database with images. FamilySearch. http://FamilySearch.org : 5 January 2017. County clerk offices, Indiana. [S182] Social Security Death Index (on-line), Ancestry.com, SSDI, Ancestry.com, SSAN 270-01-1801. Laura Wilkins was born in 1889. She died in 1987. 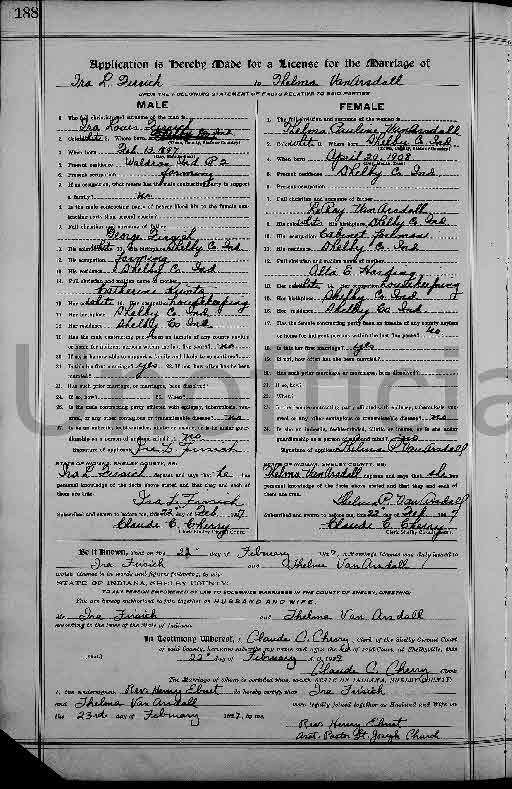 Ira Firsich was enumeratd in the 1920 Shelby, Shelby Co., IN, federal census. He was 23, the son of George and Catherine. The WWI draft registration of Ira L. Firsich, born 13 Feb 1896 in Shelby, listed his father as George. Apparently a brother, Alfred G., born 10 Oct 1893, registered at the same time. Ira and Thelma were enumerated in the 1930, Shelbyville, Shelby Co., IN federal census. He was a farmer, age 32, she was 22. Children in the household were Virginia A. 1 year 10 months, and Patricia L. 8 months. Ira and Thelma were enumerated in the 1940 Shelby, Shelby Co., IN, federal census. He was a farmer, age 43, she was 32. Children in the household were Virginia 11, and Patricial 10. Also in the household was Ira's brother Alfred, 45. [S182] Social Security Death Index (on-line), Ancestry.com, SSDI, Ancestry.com, SSAN 314-28-2709. Ethel Webb married Robert E. Holcombe, son of Earl Holcombe and Ola (? ), in May 1950. Ethel Webb died in 1990. [S697] Dorcas Aunger, "Rachel Wright," e-mail to James H. Holcombe, 29 July 2009. [S137] Elisha Scott Loomis, Joseph Loomis, page 166. Grace Riley was born in 1661 at Wethersfield, Hartford Co., CT. She married Lt. William Goodrich, son of Ens. William Goodrich and Sarah Marvin, on 22 November 1680 at Wethersfield, Hartford Co., CT. Grace Riley died on 23 October 1712 at Wethersfield, Hartford Co., CT.
Margaret Orvis was born on 17 April 1687 at Farmington, Hartford Co., CT. She married William Goodrich, son of Lt. William Goodrich and Grace Riley, on 14 May 1706 at Wethersfield, Hartford Co., CT.
[S95] Gary Boyd Roberts, Presidents 1995 Edition, page 93.